In this present work, the Taguchi-based grey relational method was used to find the optimal input parameters on wear behaviour (WB) of AZ91 alloy prepared through powder metallurgy (P/M) with different wt% of milled boron carbide (B4C) nanoparticles reinforced with AZ91 alloy. To find out the significant effects on two responses namely wear rate (WR) and coefficient of friction (CoF) as output parameters and the input parameters as wt.%, load and sliding distance (SD) were studied by using L orthogonal array (OA) with 25 experimental runs with one replication. Characterization of the nanocomposite precursors was done using scanning electron microscopy (SEM) and energy-dispersive x-ray spectroscopy (EDS). The influence and contribution percentage of the input parameters were investigated using analysis of variance (ANOVA). Grey relational grade (GRG) was employed to calculate the rank of the composites with least value of WR and CoF for various composites. Results show that the reinforcement plays a major role on the composites compared to load and SD. The result shows that there is an enhancement in wear resistance (Rw) for B4C nanoparticles added with AZ91 alloy. The worn surface analysis demonstrates that the WR decreases with the increase in reinforcement content to the AZ91 alloy, and we can also see the smooth surface for the composites. EDS of the worn surface shows the presence of oxide debris, which protects the worn out of the particles from the pin surface of the wear-tested specimen. Narayanasamy P, Selvakumar N, and Balasundar P, Trans Indian Inst Met, https://doi.org/10.1007/s12666-015-0530-z. 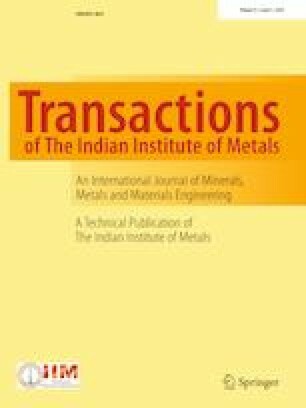 Selvakumar N, and Ramkumar T, Trans Indian Inst Met (2015) https://doi.org/10.1007/s12666-015-0681-y.